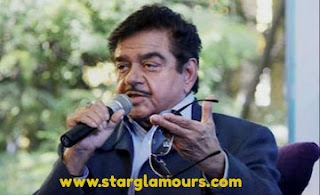 After the action of the IAF, Shatrughan Sinha said, Prime Minister will give you full support. Shatrughan Sinha (@Shatrughan Sinha) tweeted Prime Minister Modi tweeting, "At this time the whole country stands with you. We are all with you and you are very supportive. Indian Air Force Air Strike: Shatrughan Sinha told PM Modi, the whole country is with you. New-starglamours: After the terrorist attack in Pulwama, India has responded to the terrorists. Indian air force attacked the PoK air strikes and devastated all its camps. Official sources have reported that nearly 300 militants have been killed in this major action of the IAF and in which Yasuf Azhar, brother-in-law of Masood Azhar, has been killed, who was driving this camp. After the action of the Air Force, the reaction of people from across the country is coming out. In the same episode BJP rebel Shatrughan Sinha (Shatrughan Sinha) also made a big statement. Shatrughan Sinha (@Shatrughan Sinha) tweeted Prime Minister Modi tweeting, "At this time the whole country stands with you. We are all with you and you have full support ''. Let us tell you that on this big action of Indian Air Force, Foreign Secretary Vijay Gokhale said that on 14th February, Jaish-e-Mohammed had fidayeen attack on the CRPF. These organizations have been active in Pakistan for two decades. Pakistan has been continuously providing information about their camp, but they have denied it. They did not take any action. @Shatrughan Sinha) tweeted Prime Minister Modi.